Jacob came to church yesterday. When he saw me, he held out a gift. The boy I call Jacob moved several months ago to the town south of us. One of our church members has become a surrogate grandpa, checks up on Jacob, and is able to sometimes bring Jacob to church with him. Other times, we never know when, Jacob comes back to spend a weekend with his biological grandma. You can read Jacob’s Story and Jacob’s Ongoing Story here. The gift he held out to me was a Bible. It’s funny how many thoughts can run through your brain in the span of a few seconds. My mouth opened to say, “Oh I don’t need another Bible.” Then I looked closely. It was a King James Bible. I flipped through the pages. It was microprint. 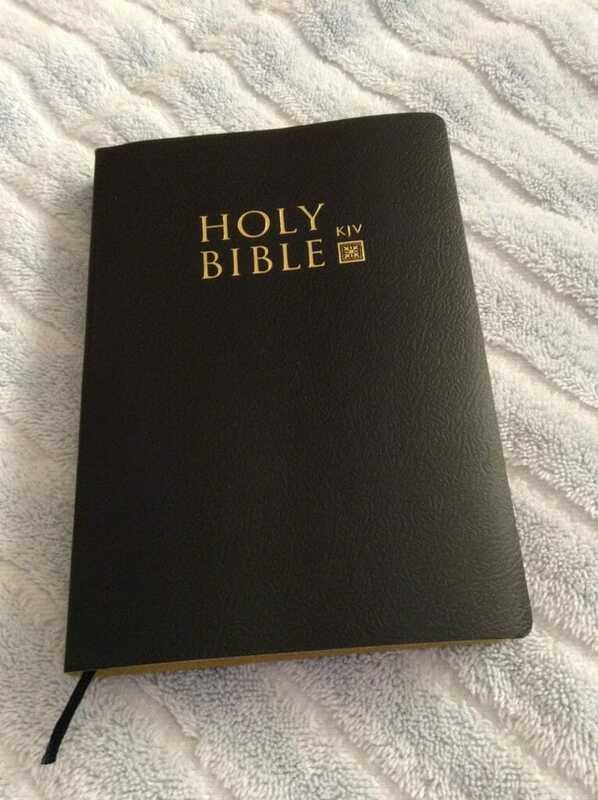 I can’t use this Bible, I thought. Why is this kid giving me this? Then I thought, who knows what Jacob went through to get this Bible for me? He may have picked it up at a thrift shop or even our local clothes closet. However he got it, he thought of us. In his child’s heart, it was the best gift he could think of to give a minister and his wife. Jacob’s next words affirmed my hunch. 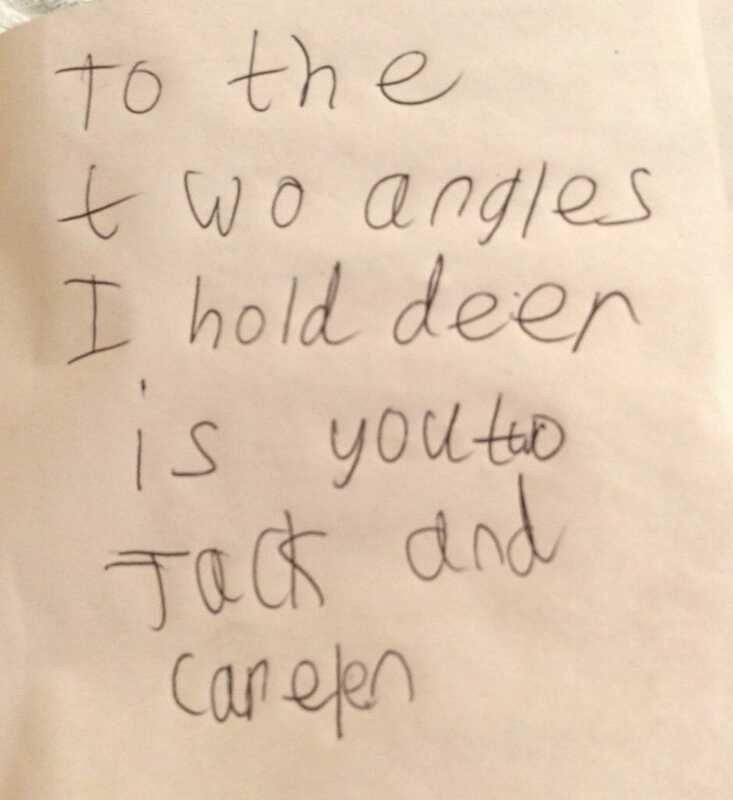 “I wrote something to you in the front. I’m sorry I spelled words wrong. I did the best I could.” Jacob always has such a defeated look on his face. It breaks my heart every time. Too many Bibles? Not my favorite version? Too small of print? Since when were those things important? Someone just gave me much out of his little. Words of thanks for how we have been there for him weren’t enough so he gave the only thing he knew to give. I’m keepin’ that Bible, you bet I am. Someone just gave me the only thing he knew to give. What would make a twelve year old boy accept a hug? 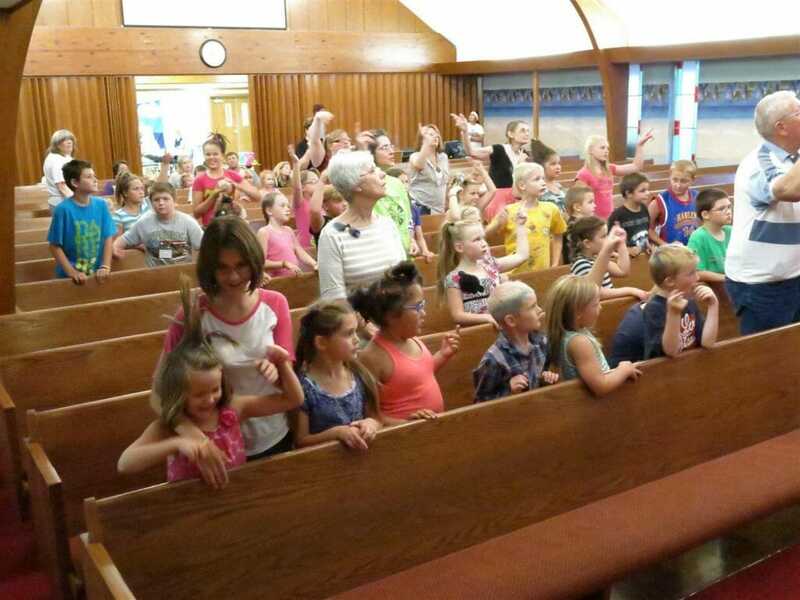 Vacation Bible School, a popular summer children’s program more affectionately known as VBS, is one of my favorite church programs. It’s the one time of year that a local congregation comes together en mass, transforms the church facilities into a fantasy environment, and makes learning about Jesus fun and exciting. It’s a great way to incorporate rookie volunteers and invite non-churched children into the church community. I think I love VBS the most because of the stories that come out of this marvelous program. All of us – adults and children alike – get to see God’s hand at work as He provides what we need to make this big beautiful event happen and as we see the love of Jesus touch children’s lives. On the fourth day of one VBS program, I stood in the main hall at the registration table. I turned around and spotted a familiar face. The words were heartfelt and spontaneous. In fact, I inwardly kicked myself. Did my enthusiasm betray I knew stuff Jacob probably didn’t want me to know – that his parent, most likely under the influence of something, had screamed at Jacob in their driveway not so many days ago, hurling foul language, insults and threats of physical harm neighbors all around wished they had not heard? 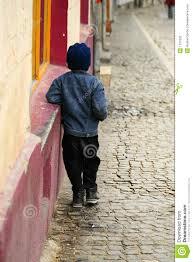 That I often saw him wondering the streets of our small town for hours on end with another orphan by day and scorned child by night. My already fragmented heart shattered. Come on. Think about it. What twelve year old boy would accept and return a hug from a woman old enough to be his mother’s older sister? Okay, dose of reality – old enough to be his grandmother. Most boys that age would barely deign to give me a high five – and then only if they can smack my hand hard enough to convince me of their growing strength and my pain factor. Only a child deprived of what should be as common and expected as food and water would allow himself to be hugged. Only a child who longs to have someone glad he exists would smile and return that embrace. 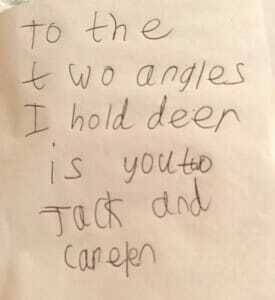 As the deer pants for water, as a wilted flower lifts bedraggled petals at the touch of dew, Jacob was starved for a simple expression of love. The peaceful cornfields and quiet streets lure our community to believe that every kid in town is happily ensconced in a two-parent family that owns an SUV and a dog, a family whose busy schedule is filled with school, softball and ice cream after the game. It isn’t so. There’s hurting kids like Jacob living around every corner. Would you pray for us? Jacob has already attended six schools in the last year. We don’t know how long he will walk the streets of this town. Pray that we are open to any opportunity God gives us to make an impact on this young life. Pray that he catch the idea that we love him because Jesus first loved us. Pray that Jesus’ love penetrates into his comprehension so he will rely on Jesus as his source of love wherever he goes next. Then think about your own neighborhood. Who walks the streets escaping their home life in your town? How can you extend the message that you are really glad to see them and they are important human beings in spite of what home tells them? It may be as simple as a zip-lock bag of chocolate chip cookies, a shared basketball, a crouch along a roadside culvert as you invite them to your church’s summer program, or, if you dare, a hug. It makes a difference. And you just might get a hug in return. I have never liked coloring pages for children. To me, they are what I call a cookie cutter craft, a busy work activity that keeps kids in their chairs and gives the teacher a breather, a useless activity where the kids can disengage their brain and go on auto-pilot. 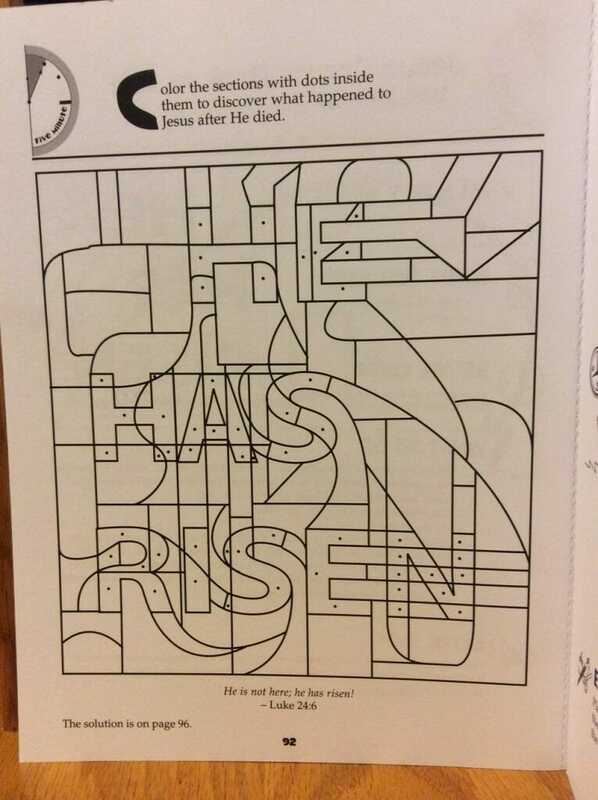 Now tell me, how do children learn to apply the lesson of Jesus’ resurrection by simply staying in the lines of a coloring page? And how can they individually react and interact with the lesson content by doing something the same way everyone else does it? 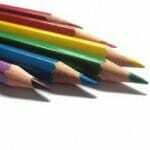 The only chance for creativity and individuality is in their choice of crayons. Boy do I ever sound like an art Grinch! And don’t try to convince me that I don’t like coloring pages because some of my five year students can color better than I can! Sometimes, it’s fun to be proved wrong. As the helper that afternoon, I wandered from child to child, checking their work. I was amazed. What I considered a cookie cutter activity became an expression of who they were. Each child not only chose different colors, they were each so different in how they colored, how quickly they colored, and how they approached the project. Kayla, usually our quiet obedient child, followed the directions to the letter, yet hurried through the page. 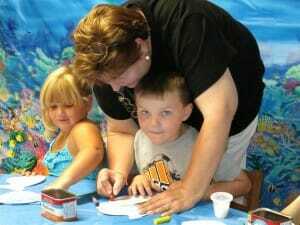 She colored the words in orange, then quickly, almost scribbling, colored the rest of the sections in a hurried blue. Observation: at least for that day, Kayla likes coloring about as little as I do. Hunter, equally quiet and obedient, also followed the directions exactly but spent far more time on the project, meticulously coloring the letters, carefully staying within the lines, then finished the rest of the stained glass sections in different colors, still maintaining the same careful style. It was pretty, a little originality, but pretty tame. He was frustrated that he didn’t finish. Observation; Hunter is a by the book kind of kid. We need those kind of people. They’re predictable, loyal, follow directions, dependable. Rachel, the child who is out of her seat as much as in it and who often refuses to do worksheets for the simple reason that she doesn’t want to, also didn’t do what I expected. She followed the directions but went a step beyond, coordinating her colors and putting time, effort and thought into how she colored. 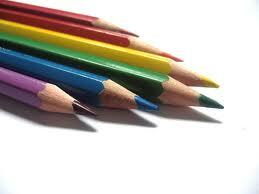 I could almost see her little mind work several colors ahead, planning a big beautiful picture for Jesus. The exuberance that laces every bouncy step she takes burst forth in that beautiful picture. Noah was our biggest surprise. I expected he would be the one who wouldn’t even finish the picture, would dash it off in scribbles of dark colors – if I could get him to sit down and do the project at all. I started to chide him for not following the directions to color the areas with the dots all one color, but I looked closer at his work and held my tongue. The dotted sections were a carefully calculated alternating pattern of lime green and teal. Then he colored the rest of the sections with random colors, that still showed thought and planning. 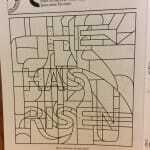 At first I thought his picture wouldn’t work but in spite of using two colors, the words “He is Risen” stood out in a blaze of beauty. Each child was so different. Each completed coloring page was like a window with the curtains parted that allowed us to look into their little minds and their souls. I realized that creativity comes in many shapes and sizes, and that even if the children had colored their pictures the same, their individuality would have still shined through. Isn’t that awesome that God creates each of us so differently, that He has created us to be creative in our own special way? Like Rachel and Noah whose minds were mapping out their pictures faster than their hands could color, God had our design planned even before we were a dot formed on the side of our mothers’ womb. He had a special, unique, one-of-a-kind design for each one of us, that even though we all follow the same blueprint of being made in His image, we are still so incredibly, intentionally different from each other. I stood behind my group of children and worshipped my amazing, creative God who chooses to pour out His power, ability, creativity and love in such a lavish way. Even more so, He didn’t just design and create us then walk away from us. He created and designed a plan to put us back together when by our own choices, we lay broken and wounded. After all, sending His Son to die the most brutal of deaths then bringing Him back to life is a pretty creative plan. One more thing amazes me. Somehow I’m always learning more than the children I teach – even through coloring pages.